Silk Kaftan with butterfly style and golden embroidery around the neck and the front side and the sleeves. 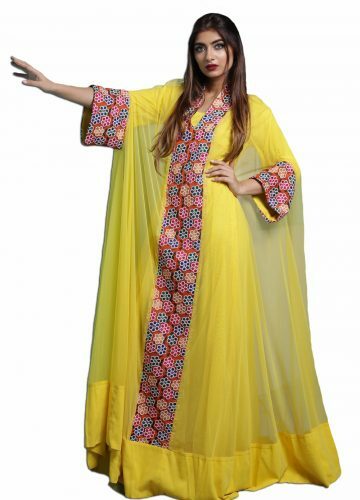 Elegant kaftan with butterfly cut style and 3/4 length sleeves coming with wide embroidery around the sleeved edges. Open top jacket 3/4 sleeves comes with matching skirt. 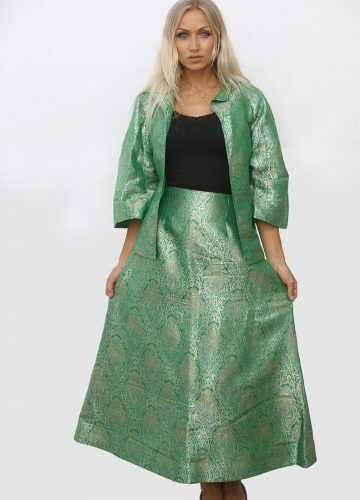 Flowing silk Kaftan with gold cross patterned sequins across the top front half. Comes with matching chiffon scarf. Kaftan coming with ruffle cut jacket. 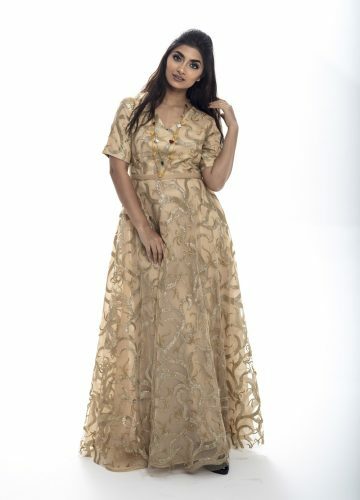 Luxurious fitted dress with long flair flowing sleeves with dark silver and gold embroidery around sleeve edges and fitted waist. Modern aqua blue kaftan with gold embroidery and sequins. 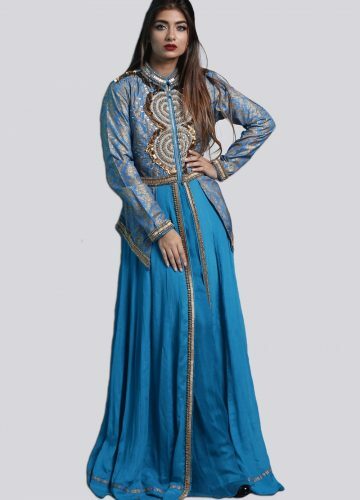 Comes with matching fitted robe/jacket designed with aqua and gold prints, gold sequin embroidered collar, sleeve edges and front . 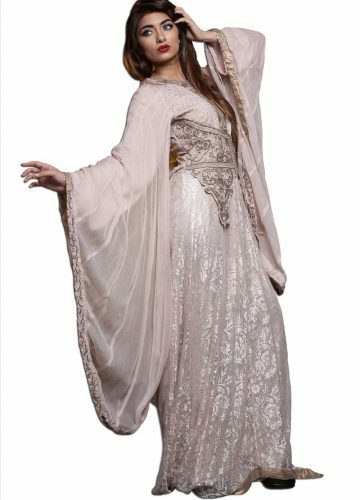 Breathe taking silk Kaftan coming in 3/4 length sleeves and chiffon stripes in the lower part and simple embroidery belt. Gray -toned Kaftan with red, green and gold embroidery. 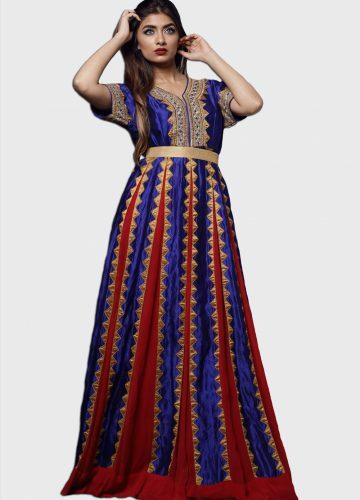 Gold sequins on top half or dress, wide flair sleeves with embroidered sleeve edges and collar. 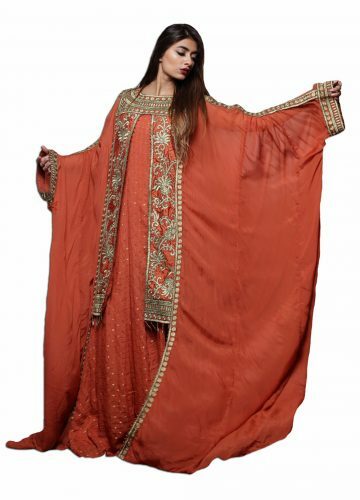 V-neck style satin kaftan covered with sequins embroidery chiffon peace. Charming Chiffon high neck Kaftan with embroidery across the chest and the neck area and random embroidery flowers all over the sleeves. Find your inner Greek Goddess in this understated chiffon fabric dress, with geometric Aztec embroidery across its upper and lower bodice as well as on a semi-voluminous skirt. With silver embroidery on its sleeve edges.